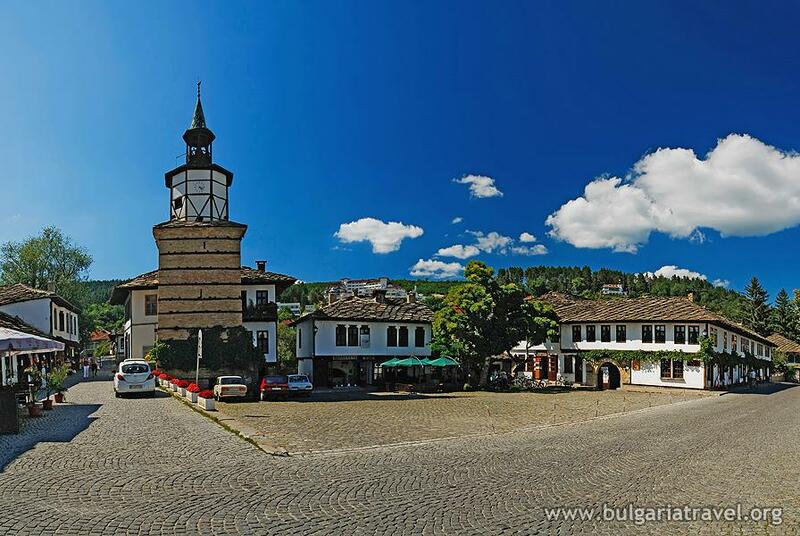 Tryavna is located in Central Bulgaria, about 250 km away from both Sofia and Varna, and at 440 m above mean sea level. The town lies at the foot of the northern slopes of Stara planina (Old Mountain, the Balkan). 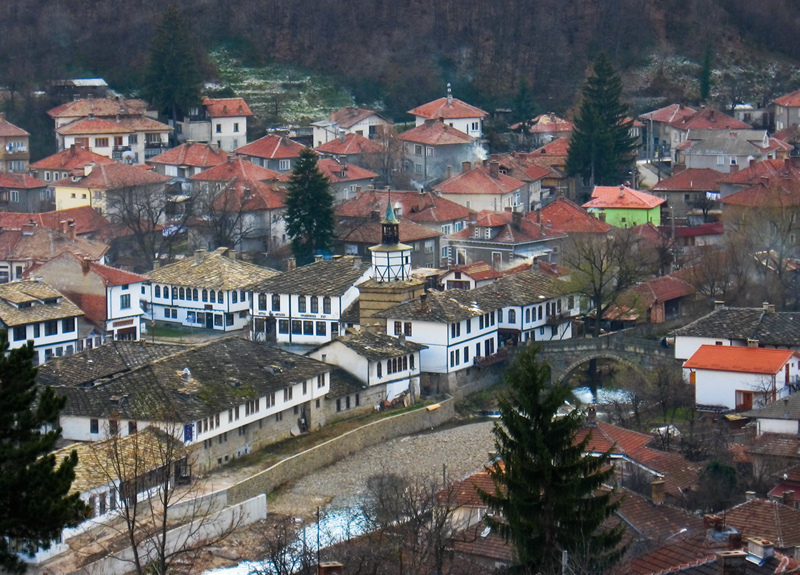 The population of Tryavna is approximately 10 000 people. According to historical data the region around the modern-day town was inhabited by Thracian tribes. A settlement had existed there as early as the 18th century, and by the 19th century the town had already become a cultural and craft centre. 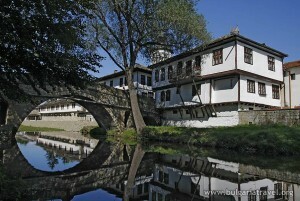 During the Bulgarian Revival Period (18th – 19th centuries) Tryavna Artistic School was established in the town. 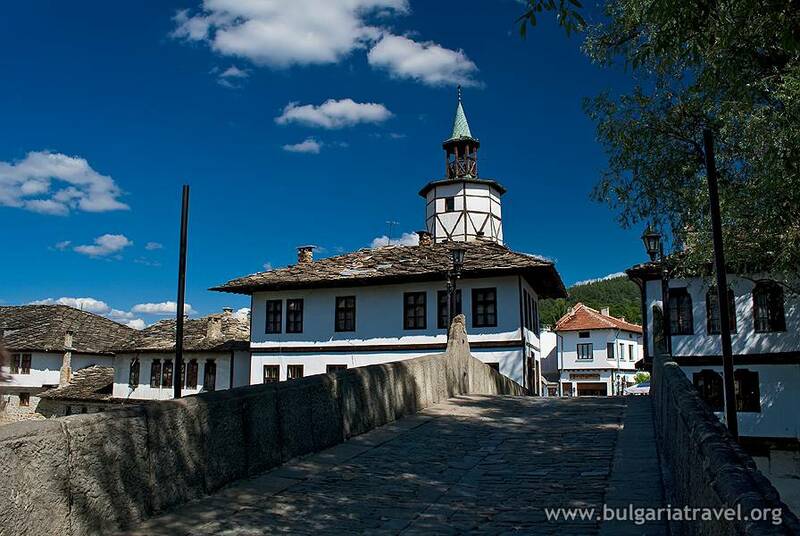 Tryavna still keeps the spirit of this period even today. The Clock Tower – one of the symbols of Tryavna, stands in the centre of the town. It was built in 1814 and is 21 m high. The tower was declared an architectural-construction monument of culture of national importance by virtue of publication in State Gazette, issue No 96 of 1967. 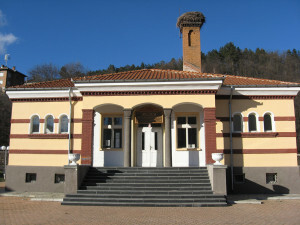 The works of Tryavna Artistic School are displayed in several museums. The famous wood-carved suns can be seen at Daskalov’s House. They were made by masters Ivan Bochukovetsa and Dimitar Oshanetsa who in 1808 competed against each other in order to prove their skills. The Museum of Wood-Carving is also housed there. Daskalov’s House was declared an architectural-construction monument of culture of national importance by virtue of publication in State Gazette, issue No 96 of 1967. 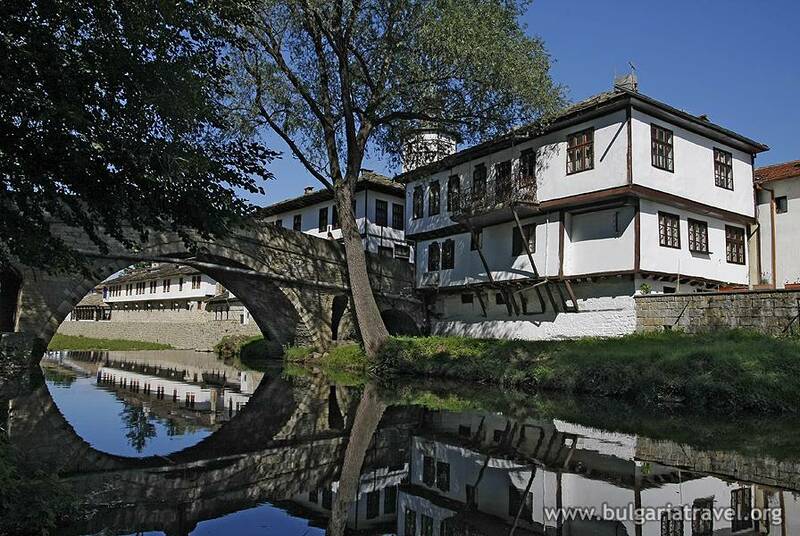 The Museum of Icons which preserves examples of Tryavna Icon-Painting School is situated on a hill above the town. It exhibits over 160 original icons and tools that belonged to icon-painters from Tryavna. The building where the museum is set up was built with the intention to operate as a chapel to the nearby pediatric pulmonary hospital. Slaveykov’s House is situated next to Daskalov’s House. The poet Petko Slaveykov (1827 – 1895) and his wife Irina raised all their children there. A special exhibition of documents tells about the artistic careers of Petko and his son, poet Pencho Slaveykov. The Old School where visitors can see how classes went back in 1893 is also located in the centre of the town. Part of the exhibition at the school-museum includes textbooks, aids, certificates, etc. Visitors will also find an interesting collection of watches from different historical periods and a collection of paintings by artist Dimitar Kazakov (1933 – 1992) there. The Church of Archangel Michael, which, according to local legends, was built in the 12th centuries is located in close proximity to the Old School. The wood-carved iconostasis and the wall-paintings are of interest to visitors. Archangel Michael Temple, which, according to local myths dates back to the 12th century as well, is also in the vicinity. Raykov’s House is yet another place of interest located nearby. The exhibition displayed in the house combines the traditional Bulgarian ways with Western European influences. This was the house where Pencho Raykov – the first professor of chemistry in Bulgaria, was born. The house and its yard were declared architectural-construction monuments of culture of national importance by virtue of publication in State Gazette, issue No 96 of 1967. 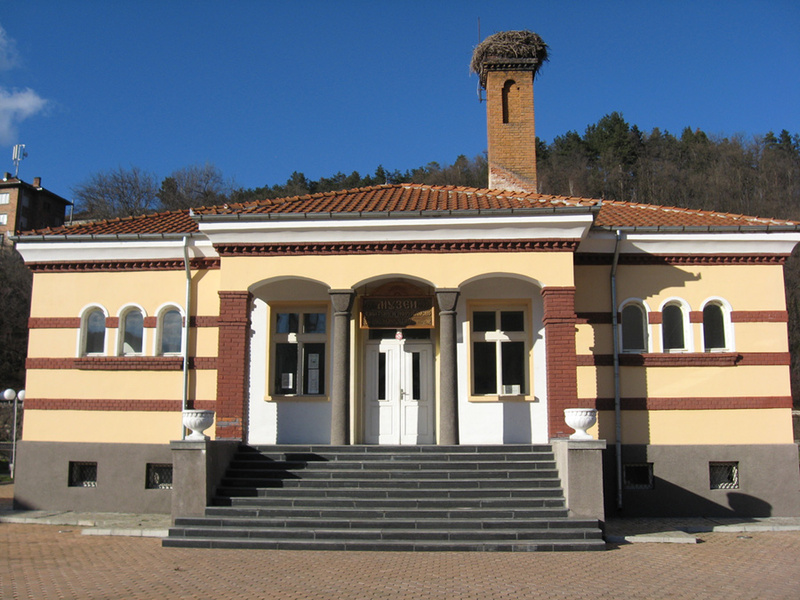 The only Museum of Asian and African Art on the Balkan Peninsula is located inTryavna. The collection of African and Asian items and religious sculptures was donated by sculptor Zlatko Paunov. The museum contains over 380 objects from Tibet, Nepal, India and several African countries. Statues of the most worshipped Asian deities can be seen there. African art is represented by items and masks. Many masks used for voodoo magic and pagan rituals are displayed at the museum. Most African masks depict demons with lowered eyes. Visitors can learn more about the history of the local people who lived during the time of the struggles for national liberation at the house where revolutionary Angel Kanchev (1850 – 1872) was born. Authentic weapons, old photographs and items from that period are exhibited there. The house was declared an architectural-construction monument of culture by virtue of publication in State Gazette, issue No 96 of 1967. The old street of Tryavna lies on the other side of the 19th century bridge which was also declared an architectural-construction monument of culture (by virtue of publication in State Gazette, issue No 96 of 1967). Many wood-carving workshops and souvenir shops can be found there. The shoemaker’s shop (where leather shoes are made) and the workshop where national costumes are sewn are located in this part of Tryavna. Art lovers should not miss visiting the art galleries in the town. 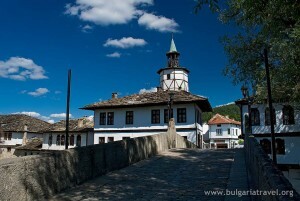 Situated in Central Stara planina, the town of Tryavna is a fine place for mountain tourism. There are marked tourist trails to the two peaks in the Tryavna Region – Golyam Krastets (2034 m) and Barzovets (897 m). Chapels are built on the peaks – St. Ivan of Rila and St. Sofia, Vyara, Nadezhda and Lyubov (St. Sofia, Faith, Hope, and Love). There are rest spots and shelters in the area. Other marked trails can be found in Balgarka Nature Park which stretches over parts of Tryavna and Gabrovo. There are quite a few hotels and family guesthouses that provide accommodation in Tryavna and the region. There are many restaurants and venues in the town where interesting meat old-recipe cooked dishes are served.